New Delhi: The central government is enhancing Dialysis treatment facilities by approving setting up of institutions similar to AIIMS in 9 states. The centre has also approved up gradation of tertiary care facilities at 70 medical colleges. Talking to members of Parliament in the Rajya Sabha today , Health Minister JP Nadda said that healthcare being the state government’s responsibility dialysis facility also fell under the parameters of the state.The central government, through hospitals under it, supplements state Government effort he added.Data regarding availability of infrastructural facilities for dialysis treatment in the country is not maintained centrally he elaborated..
State Governments can also consider providing dialysis services at District Hospitals through Public Private Partnership (PPP) mode under the National Health Mission. 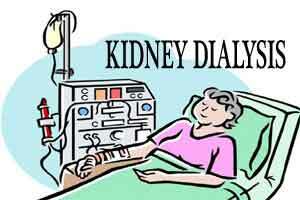 The Finance Minister’s budgetary announcement this year makes special provisions for the treatment of Dialysis . Dialysis facility is available at the Central Government hospitals including All India Institute of Medical Sciences (AIIMS) Delhi; Dr. Ram ManoharLohia Hospital, Delhi; Safdarjung Hospital, Delhi; Jawaharlal Nehru Institute of Post Graduate Medical Education and Research (JIPMER), Puducherry, Post Graduate Institute of Medical Education and Research (PGIMER), Chandigarh, North Eastern Indira Gandhi Regional Institute of Health and Medical Sciences (NEIGRIHMS), Shillong and Regional Institute of Medical Sciences (RIMS), Imphal.